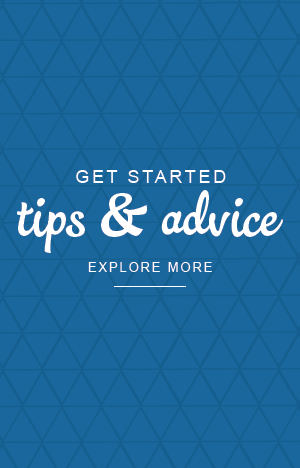 Stackable Diamond Rings You Absolutely NEED… and Can WIN! 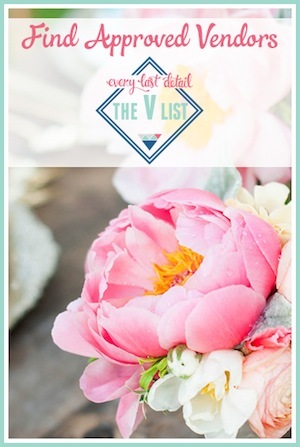 Attention all brides and grooms, wives and husbands, girls and guys… heck, everyone! 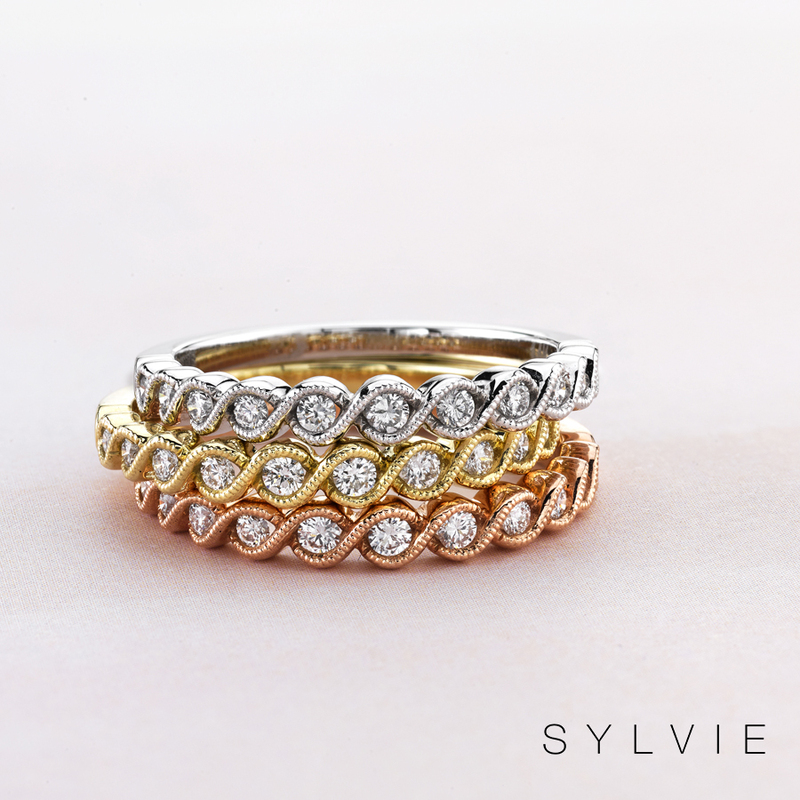 I am SO excited to share about The Sylvie Collection’s “Match The Stack” contest to win one of their GORGEOUS Stackable Diamond Rings! 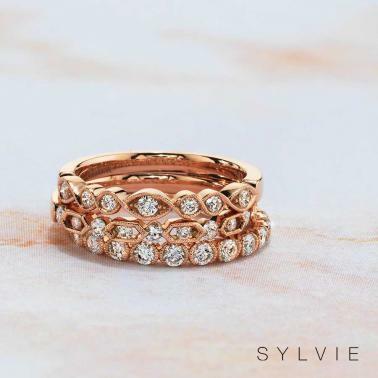 I have partnered with The Sylvie Collection to share about their stackable diamond bands, and that means that YOU get the exclusive opportunity to enter to win one of these beauties! I myself recently went to one of their retailers to see these rings in person, and my goodness, they are absolutely stunning! 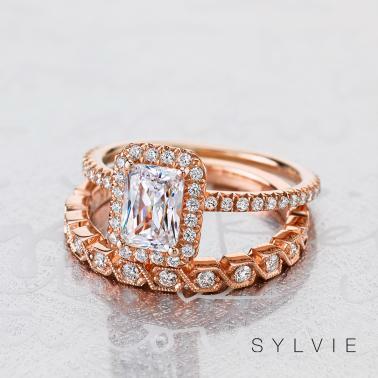 They are delicate, but yet still make such a beautiful statement- and their engagement rings are pretty fabulous too! But let me tell you- these rings aren’t just meant to be wedding bands. I myself wear mine alongside my wedding band and my engagement ring, and sometimes on my right hand too. 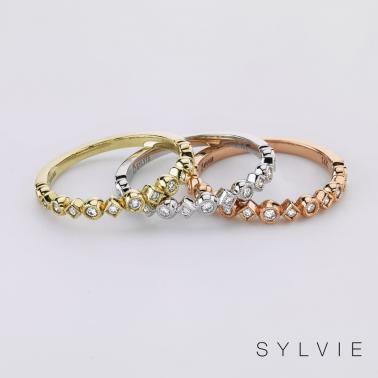 There are over 100 styles of stackable diamonds bands to choose from, and they come in white, rose or yellow gold, and even platinum! 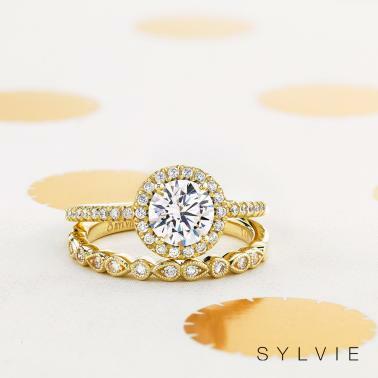 Oh, and if you’re not yet engaged, it might be helpful to know that The Sylvie Collection also offers over 2,000 unique engagement ring styles, each with a matching band. The Collection is available in nearly 300 fine jewelry stores across the U.S. & Canada- go here to find a store close to you! 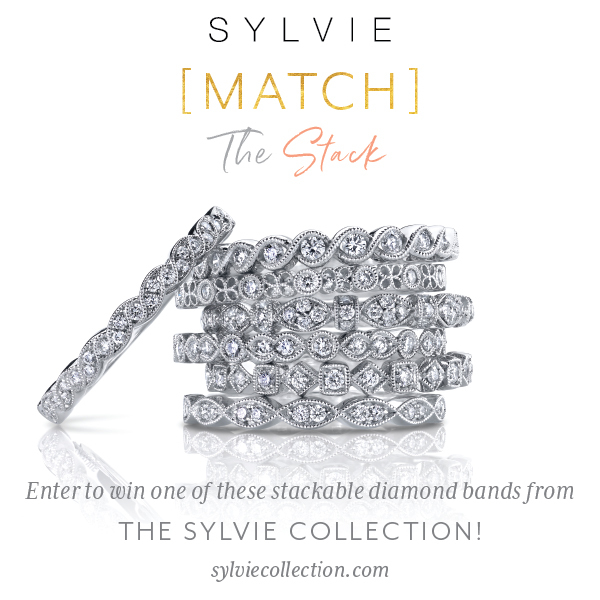 And of course don’t forget to go enter to win a diamond stackable band from The Sylvie Collection! *This post was sponsored by The Sylvie Collection. All thoughts and opinions are the author’s own. 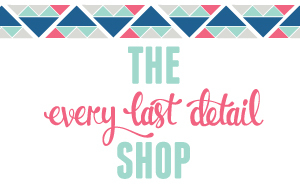 Win An Eco-Friendly Engagement Ring!